The bathroom is one area in our home that we always want to be clean and orderly since it is where we bath and observe proper hygiene. It is a private place but it has to be neat and clean all the time. That is why homeowners are doing their best to achieve a clean and well-kept bathroom. If you are having a hard time to do that, we will be giving you tips to achieve a well-organized bathroom. 1. Always clean your bathroom. Your bathroom has to be clean if you want it to look organized. Make it a habit to clean the bathroom all the time. Do not just clean whenever you want to. Clean it every day after use. An organized bathroom is free from dirt and always looks neat. Also, make sure that you will throw stuff that you no longer use like empty bottles to avoid clutter. Wall shelves are recommended especially for small bathrooms. This will not occupy the floor area, instead it would use the wall’s area. Install a wall shelf that is big enough for your stuff. If you do not have lots of things to place, then do not use a large shelf. Small ones will do. Wall shelves are ideal for things you will use every day or most often. 3. Allocate place for cleaning materials. Hide your cleaning materials. Exposing them will make your bathroom look cluttered and disorganized. You can have a small cabinet installed under your lavatory or wherever in your bathroom that would occupy a little space. Store them well. Make sure that the containers are sealed properly and your storage area is dry. 4. Use uniform containers for toiletries. One way of organizing your bathroom is by using uniform containers for the toiletries. Remove them from store packaging and place them inside the containers. You can buy them from stores. You can even choose designs and colors that would fit in your bathroom’s interior. 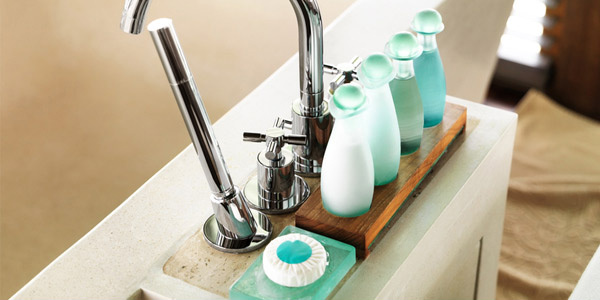 This will add beauty to your bathroom and will help you achieve an organized look. You can choose bottles with labels or those which are transparent so you can see what is inside. Uniform bottles also fit well in storage areas like in wall shelves or hanging organizers. You can also use baskets for your bathroom. This can give your bathroom an eclectic and shabby chic look. Baskets actually look good especially when they are well arranged. You can have a space in your bathroom for them. Instead of drawers, you can use them for a more artistic look. Some also put labels on them. 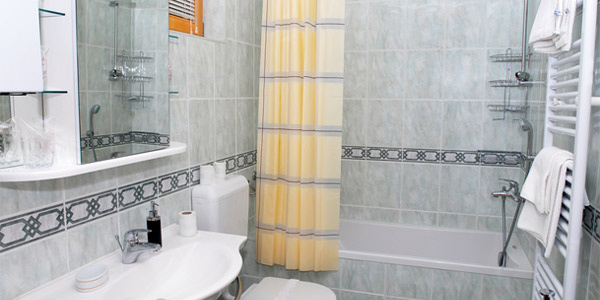 Towels may add clutter in your bathroom when not properly placed. Towel rods can do the work for you. If you lack space, stack towel bars behind your door. This is a great way to use space efficiently. You can also use towel ladders especially if there are many regular bathroom users. 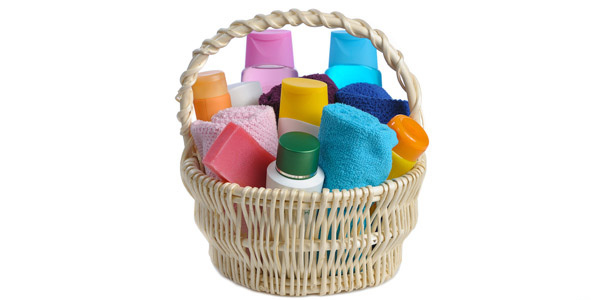 Fold clean towels and place them inside one of your cabinets. Drawers are a good way to store items in the bathroom. Yet, they also have potential for messiness. Hence, you can also opt for drawers with dividers. This will allow you to segregate and separate items. You can have a separate drawer for toiletries and cosmetics, used and unused items. 8. Use space under the lavatory for storage. Make use of the area below your lavatory. Create storage spaces. It can be cabinets, drawers or both. You can also install dividers inside or use some baskets or boxes then place them inside the cabinets to keep them organized. 9. Have a trash bin. You can also reduce clutter if you have a trash bin. Users can immediately throw items that they do not need inside the trash bin instead of just placing it anywhere. Trash bins also come in different types and styles. You can choose a design you want that would look good in your bathroom. You can opt for those that have pedals when opened or those which have covers. Place the trash bin under the lavatory or in any available space that can be noticed by the users. 10. Have a microfiber cloth ready. You can place a microfiber cloth in your bathroom. 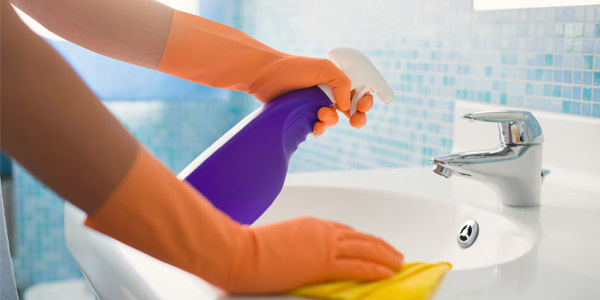 This will allow you to have a quick wipe on areas that you need to clean like the sink, vanity or the toilet. Or you can use a cheap cloth for this which you can just pick up and use to wipe in areas. This will minimize wet areas and would make your bathroom look a lot cleaner. Wash them after every use and replace with a new one. Having an organized bathroom is everyone’s wish. It can make bath time good since you are in an area that is clean and relaxing. You will also not find it hard to get items and use them. 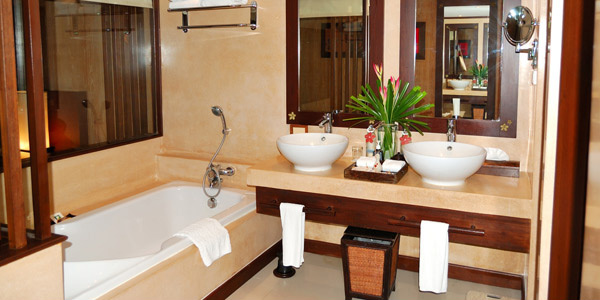 You will even be proud if a guest will use your bathroom. We hope that this bathroom organization tips we have given you will help you a lot. You can also look into different bathroom design inspirations where you can get ideas on how to work on your storage areas.